Worry not! This is precisely why you should approach an expert for advice. 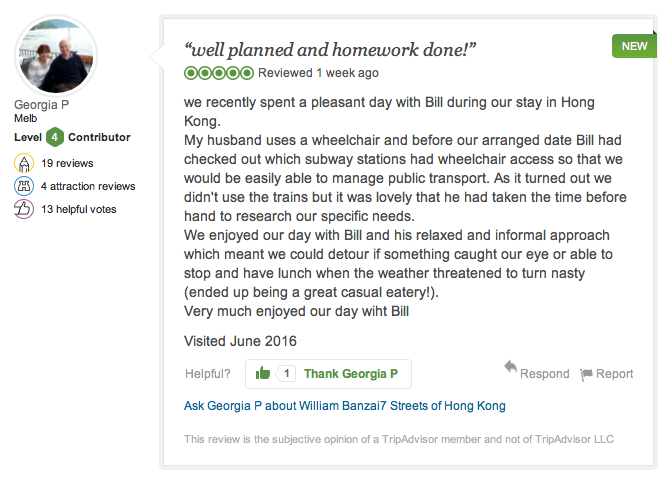 You are visiting Hong Kong for a limited amount of time and naturally you should want to optimize you stay. 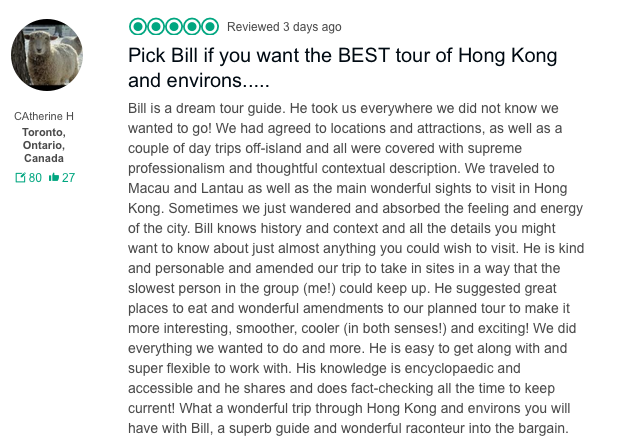 My initial recommendation to all of my clients is to sign up for my full day private walking tour of the center of Hong Kong, i.e., the Kowloon Peninsula and Hong Kong Island. This is by far my most popular tour. On it you can expect to receive my historic and cultural overview of Hong Kong as well as a thorough orientation of how the city is laid out, how it developed over time, how to get around confidently and what other sights there are to be seen. You can also expect to see the main points of interest on both sides of Victoria Harbor, crossing on the venerable Star Ferry with a grand finale at the best spot on Victoria Peak. You will also experience a fair amount of local culture in local markets, temples and eateries coupled with a mosaic of stories that I have labored to discover and integrate into my engaging presentation. Going one step further, I have developed multi-day private touring as a highly regarded specialization. Of course anyone can show you around for a day or two. However, lacking the essential communicative rapport and supporting narrative, combined with the ability to read the personal tea leaves of good company, things could get repetitive and even tedious quickly. Let me assure you, that this will not be the case if you sign up with me as your host for several days. I am very proud that many of my clients are repeat clients as well as satisfied multi-day clients. I am constantly reading and out exploring and the results of my efforts are demonstrated by the diversity of information I offer as my tour repertoire continuously evolves. And I am the first to humbly admit that I seem to have the proverbial "gift of the gab". Day 1: Private Walking Tour of Kowloon and Hong Kong Island (expandable into 2 days). Hong Kong Island was the center of Hong Kong the British Colony. Kowloon, however, was the economic center of gravity of Hong Kong in the modern era following World War 2. It is where most of the Mainland Chinese refugees settled, where all the factories that made everything we wore in the 60s and 70s were concentrated (remember Huckapoo Shirts, Jordache Jeans and Members Only jackets?) and where all the old Cantonese style urban neighborhoods have hung on, purely by accident of history (i.e., they were all located in the landing approach of the old Kai Tak Airport). It is also a place with history dating back to the Song Dynasty in the 13th century. Day 2: Private Walking Tour of Old Macau. The Portuguese arrived in this vicinity over 400 years ago. Macau was established 300 years ahead of Hong Kong. I call it a Little Lisbon on the South China Coast. The center of the old city is one big World heritage site. Forget about the casinos which are in another direction. Macau is like going into a 60s time warp. Day 3: Private Tour of Lantau Island Including Tai O and the Giant Buddha. I take my clients to see the spectacular Big Buddha and the Nong Ping 360 cable car, but to me the main attraction of Lantau Island is Tai O fishing village. This is not a hidden gem. This place is a gem. Here, with some imagination applied, you can get a fascinating glimpse of how the Tanka fisher folk lived in the Pearl River Estuary before the "foreign barbarians" arrived. Indeed, the place was also a nest of piracy. And the scenery is visually stunning! It is a bit disconcerting because if you arrive there after 12 noon, it is packed with tourists. Without them, the place could no longer survive. So the name of the game is go there first and get there early, before the pink dolphins make their retreat from the crowds. Day 4: Other Private Hong Kong Tours--for example: Maritime History of Hong Kong; Cheung Chau Island, Battle of Hong Kong, New Territories, Eastern and Southern Districts, Shopping, Sheung Wan and the Western District, Kowloon City District and Kowloon Walled City Park, Sham Shui Po and Yau Ma Tei by day (Yau Ma Tei is where the Temple Street Night Market is located and is very different during the day. A truly authentic old Chinese neighborhood). Evening Tour of Hong Kong: Definitely a must. Kowloon by night is a a smorgasborg of neon lit seedy urban magnificence! And don't worry, it is safe! But I am offering premium service, so please do feel free to inquire if you have some other special request in mind! My longest multi-day engagement was a six day engagement last December and my clients were thrilled. When I have more time to spend with you, I do not have to cram everything into a limited amount of time. I can plan how I am going to present the big story and indeed what an epic story it is! Finally, if you would like to reserve time to do some exploring on your own, please do not hesitate to ask me for detailed advice on how to do any of the above on your own. I will share with you as much as I can short of physically being there to add my personal observations and loquacious embellishments. And, I won't be there to photograph you. If you would like me to expand on the above to expedite your decision making, please feel free to send an inquiry. WHAT HAPPENS ONCE I’VE BOOKED MY PRIVATE HONG KONG TOUR? After you book your premium tour on my Contact/Booking Page, I will confirm your tour by email within 24 hours latest. On the day of the tour, I will pick you up at your hotel (or at another mutually agreed location) at the agreed time and then drop you off at the conclusion of the tour if you wish. I usually arrive 30 minutes to one hour early and then call to let you know I am already there waiting for you to arrive at your leisure. As far as the itinerary goes, clients are usually more than happy to leave it to me, particularly first timers to this magnificent and fascinating city. I normally work out the itinerary in my head once I have met you to give you a rather unique, highly personalized cultural and historic experience. In keeping with Eastern philosophical principles, there will always be an element of spontaneity and surprise in my tours. Finally, I invite you to go to my Flickr stream and Instagram (linked in the navigation bar) to see what my Streets of Hong Kong are all about. Indeed many of my clients use my site links to decide what they want to see. HOW MUCH CASH WILL I NEED ON TOUR? You will need HK$ cash for your tour as we will need this for transport, minor purchases, refreshments etc. Most large shops and restaurants will accept credit cards but if we go off the beaten track cash is needed as many local style restaurants, food stalls and market stalls work on a cash basis only. As a guide HK$400 – HK$500 cash per person should cover most eventualities (excluding airport transport and attractions such as the Nong Ping Cable Car on Lantau Island) and it is better to purchase an Octopus Card™ for transport rather than using cash. Octopus cards can be purchased at the airport or at the window office in any MTR station. They can be topped up at any ubiquitous 7-11 or Circle K convenience store. There are ATM's in the airport arrival hall as well as exchange counters. The cost of an ordinary round trip on the Macau Ferry is approximately USD 45. Credit card payment is accepted. I do not recommend paying the extra expense of super-class unless unusual circumstances are present (e.g. holiday crowds or a beat the typhoon rush). The ordinary class cabin is comfortable and perfectly adequate. EXACTLY HOW MUCH WALKING IS INVOLVED? I endeavor to structure the pace and walking length of my tours around your ability. Please be realistic when you communicate your ability to me. I know all of the options for moving around and will maximize your comfort (or pain), depending on your personal preferences. Please do not wear these! Common sense rules of walking apply. Be prepared and make sure you wear appropriate clothing and shoes, water and soft drinks can be purchased at the thousands of convenience stores found on the streets in Hong Kong. Hong Kong is a special needs friendly city and I welcome tour bookings by persons who have special need requirements. If I do not believe that I can adequately address your special need, I will be honest with you. But I will make every reasonable effort to accommodate you. If you are a step counter (e.g. fit-bitter), on a typical 6 hour walking tour of Kowloon you can expect to log between 12-15000 steps. On a typical 8 hour all day tour you can expect to log over 20000 steps. My personal record was 36000 steps in one day spread over two consecutive 6 hour tours. Finally and to emphasize – all tours are done at a reasonable leisurely pace, do not worry about this too much, the tour is part walking / part hopping around on public transport with plenty of rest periods and refreshments as required. I am not a drill instructor. My job is to make sure people enjoy themselves! There are full time attendants paid to assist you with your Taxi. I am not a commercial driver and do not provide airport transfer services. 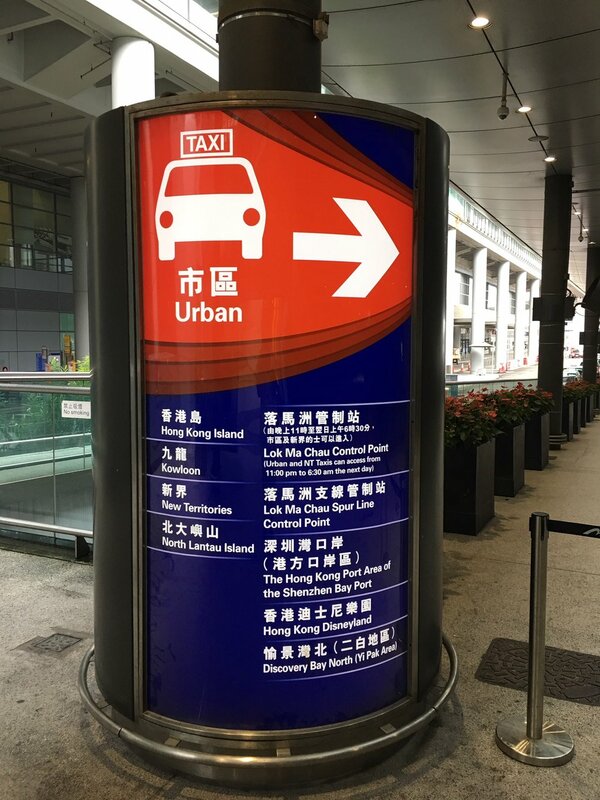 For transportation to your hotel, I recommend either using your hotel limousine service or Hong Kong red taxi's which are clean, reasonable and adequate. The taxi rank at the airport can be easily found and is staffed so there will be someone to assist you in instructing your driver. Red Taxis are for destinations in Kowloon and on Hong Kong Island, Green Taxis are for destinations in the New Territories and Blue Taxis are for destinations on Lantau Island. Please note that Hong Kong taxis do not accept credit card payment. I can also provide the details of airport transfer operators upon inquiry. DO YOU DO PRIVATE CAR TOURS? I am not a commercial driver. But I can and will arrange a late model air conditioned van service, maximum passenger capacity 6 persons. The additional charge is generally USD 50 per hour payable to the service provider. Somewhat expensive, but nevertheless less expensive than the cost of booking a vehicle via a hotel concierge. ARE YOU ABLE TO ACCOMMODATE CLIENTS WITH SPECIAL NEEDS? I consider it an honor to assist clients with special needs. Please send me an inquiry detailing your particular requirements and I will do my absolute best to configure a truly memorable outing for you. I am a lover of great food, particularly great Asian food! My Mom was a great Japanese and fusion cook. My wife is a fantastic Thai cook. My family ran a seafood restaurant in Manhattan and I have sought and found the best local style food wherever I have ventured throughout Asia (Indonesia, Malaysia, Thailand, Vietnam, Japan, Mainland China, Taiwan and, of course, my adopted home city Hong Kong). However, for reasons related to personal fitness and health, I do not offer specialized food themed tours. There are other high metabolism guides who specialize in eating for 4 hours straight. Imagine what would happen to my BP and cholesterol numbers if I gorged myself on Cantonese style pastries, dumplings and noodles all day long! My Doc would castigate me! A typical dim sum spread in one of my regular local joints. Nevertheless, I love great food and I do accommodate all requests for street snacking, refreshments and meal stops along the way, time permitting. I have personally scouted all of the establishments I frequent and have settled on those that I know provide my clients with my high standard of safety, quality and service. I can also take you into great local and mainstream eating establishments (my favorite joints). I regularly manage the menu and ordering process and my clients have been very pleased with my decisions. While I am not afraid of unusual food, I have certain culinary boundaries which I prefer not to cross and in virtually all cases my culinary boundaries match those of my clients. If you have a specific food challenge in mind such as snake soup, entrails, stinky tofu or chicken feet dim sum, just yell and I will lead you to your prey. Enjoy yourself! I must confess, I do like stinky/fermented tofu. And no, there are no insect eateries in Hong Kong. IMPORTANT: If you have any kind of allergy or similar food issues, it is imperative that you inform me straight away. I cannot take responsibility for the kitchen practices of various eating establishments and it is better to be safe than sorry. I am the first to admit that I don’t know what a gluten free diet is! Finally, if you want my input on restaurant choices, I am happy to provide same. In this regard, I will only recommend a restaurant if I have personally dined there. 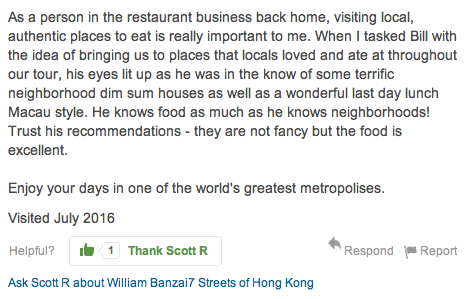 What Scott did not mention in the foregoing review excerpt is that he actually has a dim sum restaurant in his portfolio! DO YOU ALLOCATE TIME FOR SHOPPING ON TOUR? 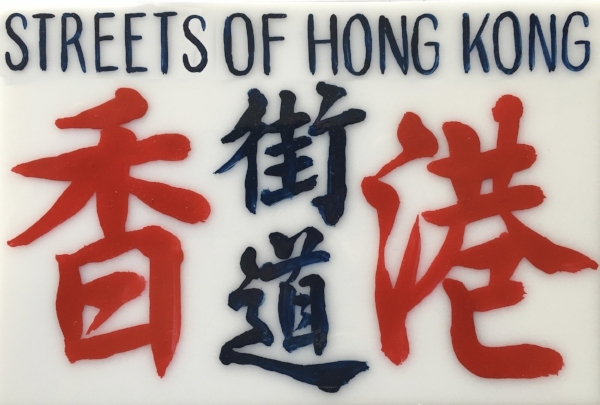 I do not promote shopping tours, however, I regularly advise my clients on where and where not to shop for various items during their visit to Hong Kong. And I do know where to shop until you drop. So, when feasible, and if my clients prefer, I do make shopping stops on tour. However, be aware that Hong Kong is no longer the global low cost shopper's paradise it once was. Nevertheless, there are no sales or VAT taxes in Hong Kong and every luxury brand imaginable has a retail presence here. There are certain items of recurring interest such as quality souvenirs, jade and pearl jewelry, tailored clothing, tea ware, fine chopsticks, embroidery etc. And there are the street markets. Please do inquire and I will be happy to provide you with my well tested recommendations on where, who and how. And remember, I do not accept any commission payments or other indirect compensation from any vendors that I recommend to my clients. 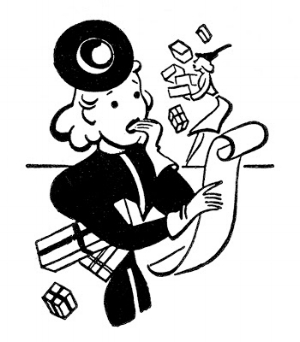 And let me repeat, there will be no visit to the infamous Aberdeen jewelry factory on my tours or any other kind of retail tourist trap. While I always make a point of passing through local markets on tour. My emphasis is on markets used by locals as a social phenomena and not souvenir markets, unless requested. DO YOU ORGANIZE LARGE GROUP TOURS? I routinely accept bookings for up to eight participants. Bookings involving a greater number can be arranged by agreement. I do not organize or execute prepackaged or free public group tours. This is an entirely different type of service from my personalized premium tour experience. My premium service is is designed to cater to small groups optimally with participants who know each other fairly well. This way I know we can reach a quick consensus on how to configure the tour, i.e., where we will go, what we will see and what we will do. If you want to change the tour mid-stream no problem. If you have a question you want answered you can ask because you will have 100% of my undivided attention. Remember, premium client service delivery. That is my specialty! DO YOU DO AIRPORT LAYOVER TOURS? The answer is yes. 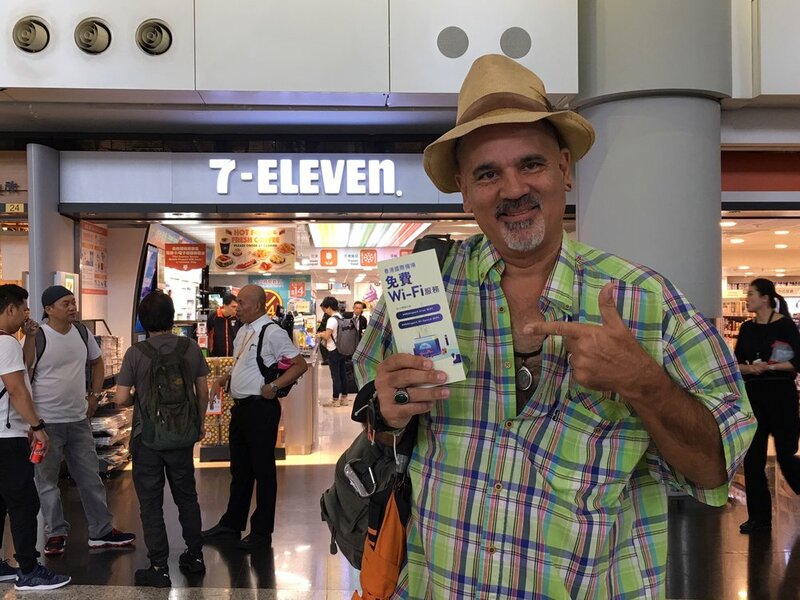 I will go to meet you in the airport arrival hall in front of the centrally located 7-11 Store or at one of the airport hotels if you are staying there. Yes, there is free airport WIFI and I will be monitoring emails and WhatsApp. There is only one and it is centrally located. I will arrive ahead of or concurrently with the scheduled arrival time of your flight. Upon exiting baggage claim, I will show you where to stow you luggage and/or carry on bags if they have not been checked through. Then we will head straight off on tour either by taxi to Victoria Peak or elsewhere, Airport Express to Central or even a bus directly to Kowloon. At the end of the tour I will either accompany you back to the airport or I will see to it you are safely on your way with plenty of time to spare. I have completed numerous 4, 6, and 8 hour airport layover tours and not a single one of my clients has ever missed his or her connecting flight. If your arrival flight is delayed, I will go out of my way to accommodate your revised schedule. Please send me a message ASAP if this should occur. However, I also monitor flight status updates. DO YOU DO CORPORATE TOURS AND EVENTS? I have done presentations for corporate events in Hong Kong and Kowloon. My presentations can be geared to provide a business/socio-economic overview as well as history and local culture. This is what I did as a lawyer so it is a natural for me as a premium guide. 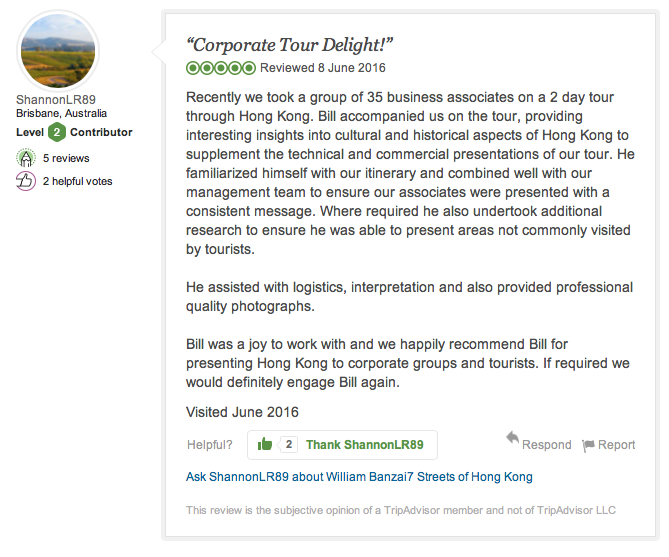 I have also done many tours for groups of corporate executives and I have provided advice on planning and logistics as well (Note: I do not provide travel agency type third party booking services of any kind). I also provide photographic event services which are included in my overall fee. For further information please email me or send an inquiry using my Contact/Tour Booking Page. DO YOU CATER TO FAMILIES WITH CHILDREN? Children 16 years and under at the time of booking are free of charge! Absolutely! 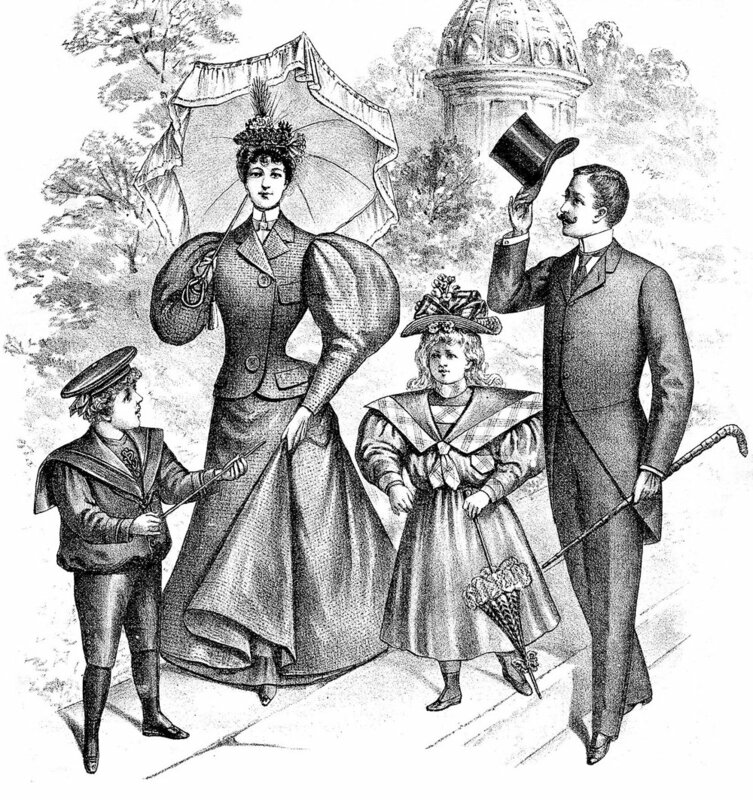 I specialize in family tours since I am a family man with kids of my own (and I connect well with kids, that is why I am regularly invited to be a guest speaker at events at the local American School). Remember, children 16 and under at the time of booking are FREE OF CHARGE! 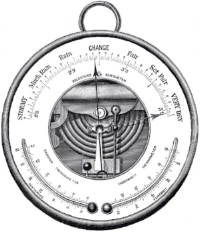 For up to date weather information, it is always best to refer to the Hong Kong Observatory. In addition, I always give clients the option to cancel or reschedule their tour if we have persistent heavy rain. I recognize touring in heavy rain can be just plain miserable for some. But I will always cheerfully proceed in tropical rain and I know how to make sure you have a good time umbrellas in hand. After all, rain is embedded in the local culture as well. We get odd weather patterns here as well. This past January 2016, we had an ice storm on the Peak, a 65 year event! Please also take into account that from May through September it is always hot and humid (with or without the rain) in Hong Kong, we are talking 80% – 90% humidity! No wonder Hong Kong’s very cool MTR trains are so popular! I do not engage in email communications or telephone calls when I am out on tour. That is because when on tour I am 100% focused on my clients! Your best alternative for reaching me during business hours or otherwise is via email communication. All of my contact details are on my Contact/Tour Booking Page. If voice communication is absolutely required, early morning (after 6AM HK Time until 8AM ) or in the evening (after 7PM HK Time). I have a Whatsapp account, but I will only use that for short message communications immediately preceding a tour or if email is unavailable. CAN I PURCHASE A FINE ART PRINT OF ONE OF YOUR PHOTOGRAPHS? Indeed you may! I have delivered prints to clients and collectors all over the world. You can look at a sampling of fine art prints I have sold in the past here. I am happy to deliver a print of any photograph found on my Flickr provided the image resolution is satisfactory for the size requested. I will not deliver substandard product. My fine art prints are produced by Chau Digital (the best digital printer in Hong Kong) using archive quality water color paper and pigment inks. I sell prints primarily in international sizes A2 (USD 180), A3 (USD 130) and A4 (USD 50). All prints are signed dated and numbered. The price includes shipment via international registered air post packed in a hard postage tube. Payments is invoiced via PayPal. Framing service also available locally on request. IS IT OKAY TO TIP ME, YOUR PERSONAL TOUR GUIDE? Tipping is always optional. Nevertheless, if you have had a terrific time and want to thank me in this manner, then I will be honored and your gratuity sincerely appreciated! Let me be clear, however, I will never ask for and I will never be offended if you do not offer a tip! Any other questions? Please feel free to contact me via my Contact/Tour Booking Page.